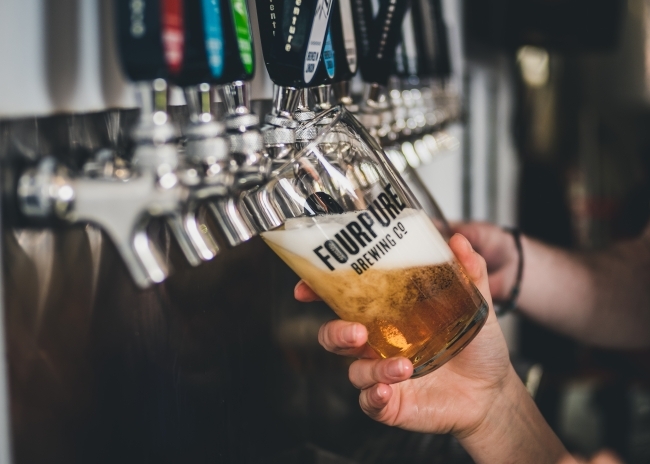 Bermondsey-based craft brewer Fourpure has announced a £2.5 million investment into the development of its brewery, which has seen capacity increase by 400%. 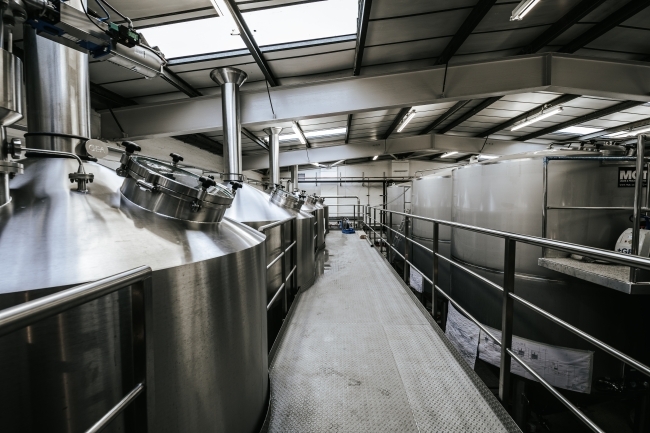 Investing in a state-of-the-art, four vessel Craft-Star brewing system, the company has positioned itself at the forefront of technological advancement within the UK beer industry. The new brewery also sees the implementation of 12 new 200-hectrelitre fermentation tanks, two grain silos and automated malt handling system which enables Fourpure to crush its own grain on site, giving greater control over production. As a result the team now brew up to eight times a day, which will increase output to over 14 million pints per year. The cutting-edge system, supplied by technology leading GEA, incorporates a mash tun, lauter tun, brew kettle and a whirlpool, facilitating the production of exceptional quality beer. The brewery’s latest development has also seen significant enhancements made to the customer taproom with upgrades being implemented to make the venue more comfortable, including family and wheelchair friendly amenities. Customers can enjoy up to 20 taps of the latest seasonal releases including Fourpure’s renowned flagship stable and with the construction of a viewing gallery, mezzanine and glass-walled meeting rooms (which will be available to hire), the brewery is well set up for more extensive hospitality. The brewery, which won this years Brewery Business of the Year at the prestigious SIBA (Society of Independent Brewers) Awards will have a large public launch event on Saturday February 10th. The focus of the launch will be to showcase its state of the art brewing capabilities as well as six very different and brand new small batch beers on show as well as brewery tours, street food, live music and talks. The investment follows numerous initiatives, implemented by co-founders and brothers Dan and Tom Lowe, prioritising the quality of people, process and production from the ground up. Recently this included sending all employees on a beer sensory training programme and installing a top of the range canning line as well as a full chemical and microbiological beer-testing laboratory at the site in Bermondsey.